Grant A. Killian, Ph.D., P.A. While at the University of Chicago, Dr. Killian had the opportunity to be awarded the National Research Service Award stipend and scholarship. This also led to being able to work as the research and training fellow as well as ghost writer for the director of the Illinois State Psychiatric Hospital, the eminent John Davis M.D. In addition, this training lead to the publication of several scientific articles and book chapters in psychiatry providing significant experience and knowledge in how medication affects psychotherapy. To read any of Dr. Killian’s publications go to the publications sections then click on the PDF symbol next to the specific publication and the publication will open so it can be read. between the ages of 19 through Geriatrics. Psychotherapy between the ages of 3 through Geriatrics. between the ages of birth through Geriatrics. 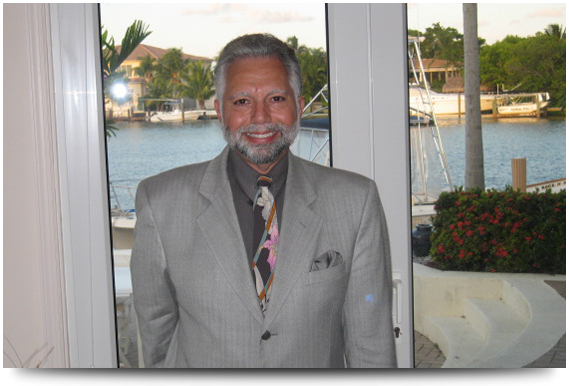 3/96 - 6/98 Serving on Quality Assurance Committee for Psych/Care, Inc.
8/81 - 8/82 Resident, St. Elizabeth's Hospital, D.C.--John Borriello, Ph.D.
8/81 - 8/82 Industrial Consultant, St. Elizabeth's Hospital, D.C.--Wayne Merrill, Ph.D.
8/81 - 8/82 Psychologist, Georgetown Mental Health Center, D.C.
8/81 - 8/82 Group Consultant, St. Elizabeth's Hospital, D.C.--Wayne Merrill, Ph.D.
9/80 - 7/81 Intern, IL State Psychiatric Inst., Chicago, IL--Marshall Silverstein, Ph.D.
7/77 - 9/80 Fellow, IL State Psychiatric Institute, Chicago, IL--John M. Davis, M.D. 9/75 - 6/77 Fellow, University of Chicago, Chicago, IL--Philip Holzman, Ph.D.
1990 - 1991 Who's Who Among Human Service Professionals, Washington, D.C.
1986 Who's Who Among Human Services Professions, Washington, D.C.
1981 -1982 N.I.M.H., St. Elizabeth's Hospital, Washington, D.C.
Killian, G.A. (1975). Ego Activity and Ego Passivity: Reformulation, Extension, and Application to Female Psychology. Unpublished Masters Thesis, University of Chicago, Chicago, IL. (Eds. ), The Proceeding of the 11th Congress of the Collegium International Neuro Psychopharmacologium. in Schizophrenia Research. New York: Raven Press, 365-379. Long-Term Effects of Neuroleptics (Adv. Biochem Psychopharmacology). New York: Raven Press, 24 471-481. Davis, J.M., Chang, S.S., Pandey, G.M., Musa, M., & Killian, G.A. (1980). Lithium Pharmacokinetics. In Usdin, E.
Scaffer, C., Pandey, G., Noll, K., Killian, G., & Davis, J. (1981). Introduction and Theories of Affective Disorders. In G. Palmer, (Ed. ), Neuropharacology of Central and Behavioral Disorders. New York: Academic Press, 1-35. Schizophrenia and Depression, Journal of Abnormal Psychology, 93, (1), 58-70. Killian G. (1984). Review of Rational Emotive Therapy (video film). Psychotherapy in Private Practice, 2, (3), 103. Killian, G. (1985). Premenstrual Syndrome (PMS), Coral Springs Forum, 15, (37), 21A. Private Practice, 3 (2), 125-126. Kansas City, MO: Test Corporation of America, 338-353. Vol II, Kansas City, MO: Test Corporation of America, 751-758. Private Practice, 4 (2), 31-32. Critiques, Vol IV, Kansas City, MO: Test Corporation of America, 469-477. Compendium, Kansas City, MO: Test Corporation of America, 206-221. Levit, D. E., Killian, G. A., and Katell, A. (1988). The Pain Apperception Test. In Keyser, D. and Sweetland, R. (Eds. ), Test Critiques, Vol VII, Kansas City, MO: Test Corporation of America, 404-416. Creighton, S., Killian, G., Kattle, A. (1990). The Marital Attitude Evaluation (MATE). In Keyser, D. and Sweetland, R. (Eds. ), Test Critiques, Vol VIII, Kansas City, MO: Test Corporation of America, 384-393. Creigton, S., Killian, G., Katell, A. (1990). Marriage and Attitude Survey. In Keyser, D. and Sweetland, R. (Eds. ), Test Critiques, Vol VIII, Kansas City, MO: Test Corporation of America, 384-401. Vol VIII, Kansas City, MO: Test Corporation of America, 278-288. Vol VIII, Kansas City, MO: Test Corporation of America, 289-293. Vol VIII, Kansas City, MO: Test Corporation of America, 294-300. Cambias, R., Killian, G., and Faust, J. (1991). Tell-Me-A-Story Test (TEMAS). In Keyser, D. and Sweetland, R. (Eds. ), Test Critiques, Vol IX, Kansas City, MO: Test Corporation of America, 545-560. Cambias, R., Killian, G., and Faust, J. (1991). Roberts Apperceptive Test for Children. In Keyser, D. and Sweetland, R. (Eds. ), Test Critiques, Vol IX, Kansas City, MO: Test Corporation of America, 431-437. Sweetland, R. (Eds. ), Test Critiques, Vol IX, Kansas City, MO: Test Corporation of America, 66-79. Diston, L., Faust, J., Killian, G., (1991). Diagnostic Screening Battery: Adolescent, Adult, and Child. In Keyser, D.
and Sweetland, R. (Eds. ), Test Critiques, Vol IX, Kansas City, MO: Test Corporation of America, 154-166. Russo, C., Killian, G., and Burns, J. (1991). Neonatal Behavioral Assessment Scale. In Keyser, D. and Sweetland, R. (Eds. ), Test Critiques, Vol X, Kansas City, MO: Test Corporation of America, 457-475. Mattei, M., Killian, G., and Dorfman, W. (1992). The Automated Child/Adolescent Social History. In Keyser, D.
and Sweetland, R. (Eds. ), Test Critiques, Vol X, Kansas City, MO: Test Corporation of America, 56-66. Mattei, M., Killian, G., and Dorfman, W. (1992). The Brief Life History Inventory. In Keyser, D. and Sweetland, R. (Eds. ), Test Critiques, Vol X, Kansas City, MO: Test Corporation of America, 102-109. Mattei, M., Killian, G., and Dorfman, W. (1992). The Psychological/Social History Report. In Keyser, D. and Sweetland, R. (Eds. ), Test Critiques, Vol X, Kansas City, MO: Test Corporation of America, 553-561. Assurance Reports), Killian Corporation, Lighthouse Point, FL. Statistics For Quality Assurance Reports), Killian Corporation, Lighthouse Point, FL. Killian, G.A. (1997). The HERO PetTalkTM, voice activation for all pets. Killian, G. A. (1995). Training Manual for CuttimeTM: Software Application for Managed Care Companies with Quality Assurance. Killian, G. A. (1995). The Hero PetTalkTM Training Manual: Cross Species Communications Made Easy by Voice Activation. Carlo, Principaute de Monaco, Monte Carlo. Killian, G. A. (1981). The Effects of Medication on Cognition. Presented at the Illinois State Psychiatric Institute, Chicago, Illinois. Killian, G. A. (1982). Cognitive Functioning and Psychotropic Agents. Presented at Nova University, Fort Lauderdale, Florida. Killian, G. A. (1984). The Craft of Psychology. Presented at the Broward Business Club, Fort Lauderdale, Florida. Killian, G. A. (1984). Sexual Abuse, Presented at Palm Beach Junior College, West Palm Beach, Florida. Killian, G. A. (1985). Problems in Parenting: Questions Answers. Presented at the Rotary Club, Fort Lauderdale, Florida. Church in Coral Springs, Florida. Killian, G. A. (1991). Stress and Parenting With Children Who Have Attention Deficit Disorder. Presented by ADD-IN at St.
Elizabeth Ann Seton Catholic Church in Coral Springs, Florida. Board of Broward County, Fort Lauderdale, Florida. St. Mary Magdalene Episcopal Church in Coral Springs. ADD-IN at St. Mary Magdalene Episcopal Church in Coral Springs. Abuses on the Identity Development of the Child. (2) Marital Conflicts and Verbal Abuse and the Effects on Self Identity. Killian, G. A. (speaker), and Wren, A. (interviewer). (1993, August 3). Self Talk in Prompting and Cueing Behaviors. Update on Domestic Violence for Florida Mental Health Prof.